The IOA Corporate 5k is on April 12, 2018, that's six and a half months away! But according to Paula Brown, it's never too early to register and start building your team. 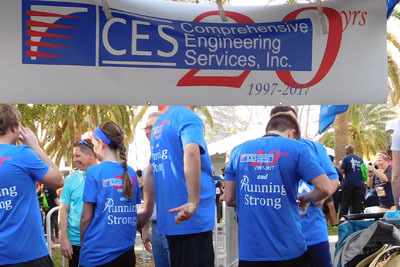 Paula Brown with Comprehensive Engineering Services, Inc. (CES), a veteran Team Captain, was the first of 700 organizations to register her team for the 2018 event. Paula shared her planning strategy with us. TS: How long has your team participated? PB: We've participated from 2000 to 2017. It's amazing to me how this event has grown over the years. As our company has grown, so has our participation. 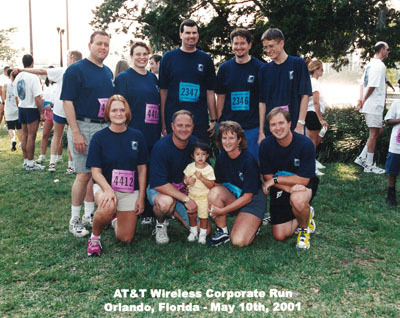 Our company encourages and pays for the employees' family members to participate too. TS: How do you encourage participation? PB: We post training programs and email them out to employees. 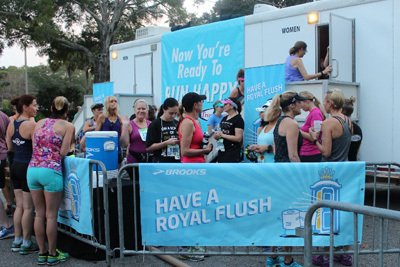 We give out team shirts and provide food and beverages after the 5k. Subs, chips, cookies, water and Gatorade are always provided at our tent. 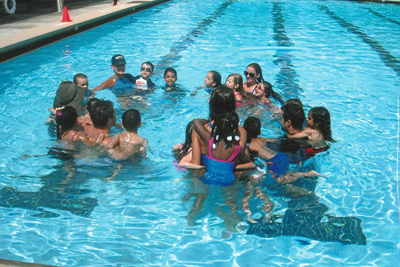 Our company also provides discounts to wellness centers and gyms to encourage wellness throughout the year. TS: Why do you register your team so early? PB: We register early to confirm and pay for our team tent. We try to pick the same tent location every year. Our participants start registering a couple months before the 5k.